When speech and developmental therapists began working with our son in our home, they recommended creating a safe place (a place of comfort, a place to get away) in our home for Jeremiah. They recommended putting up a tent in his room, or a cuddle swing (pictured at right). Before we purchased anything, we realized his go-to spot was his bed. It was a place he liked to go and hang out. His bed is a converted crib, so it has three slated sides and is open in the front. When Jeremiah used to throw longer tantrums (I couldn’t hold him because he was hitting, kicking, and holding him didn’t calm him, even after a few minutes) I would calmly carry him to his room and place him in his bed (I left his door open), and he would calm down in less than five minutes. He was able to calm down in this space because it had already become a safe place for him. Your child’s safe place needs to be comfortable. It’s important to recognize that comfort for your child may be different than what it is for you. Sensory issues usually coincide with Autism, so this comfort is paramount. Noise level – Does your child like silence best, or a continuous quiet noise? Would she like quiet music playing in the background? Textures – Does he like several blankets, or just one? 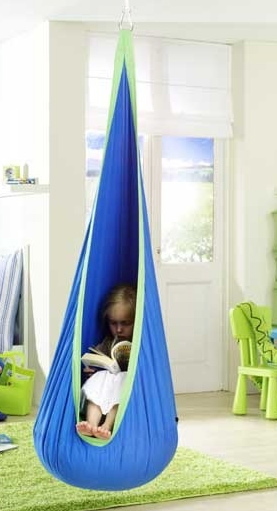 What is the fabric like on the hammock, chair, or bed that is used as a “comfort space” or for sleeping? Temperature – Consider what temperature your child feels best in. Warmer or cooler? Lighting – A natural light or soft light is preferred to harsh bright lighting. This idea of comfort takes itself into many scenarios with our kids. 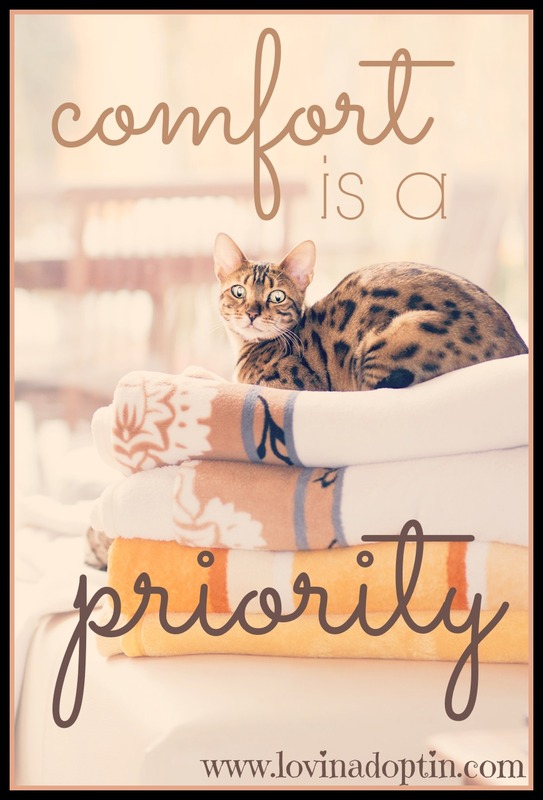 Because of those sensory needs, comfort is always to be considered. If it isn’t, your child may display negative behaviors or elope. Children who have Autism have a tendency to elope (run away, wander), it’s actually very common. Sometimes when a child elopes, it’s because they’re uncomfortable. Jeremiah has escaped from his Grandma’s daycare a few times. Seriously scared the #@$$ out of me! After putting security measures in place (well not much “security,” but at least a plan), I had to look at why he wanted to leave the house. The conclusion I came to was, he wasn’t comfortable, and sometimes when our Autistic kids aren’t comfortable, they aren’t safe. They elope, as in this instance, they harm themselves, or they can display those negative behaviors, and we want to avoid these. Because my son is nonverbal, I wasn’t able to ask him why he wandered off, and even if I could, I’m not sure he would know the exact reason why. So, we have to investigate (which we have become very adept at) and take in what we know about the environment. Here are some things that could have been bothering him: it’s really warm in her house, sensory issues plague him and Grandma doesn’t know how to deal with it, it can be loud with all the kids running around. I have a feeling one, or all of these played into his desire to leave. As mentioned in the daycare scenario, comfort plays an important role when outside the home. Another example of this was when he eloped from my parents house. It was a holiday, we were all sitting around the table after a meal, and I asked where Jeremiah was. He had walked out the door to the garage, out the open garage door and off down the open field surrounding the back of their house (no fence!). I would imagine that because he was out of his normal environment, he didn’t fell comfortable. Poor guy! He was only two or three at the time, but later during that same visit with them, he was able to show us where he did feel comfortable. He grabbed his dad’s hand and took him to our car. Justin lifted him into his car seat and that’s where he was content to hang out for quite a while. If we want our child to be safe and at peace, part of the puzzle (it’s complex, I know) is to keep them comfortable. This includes meeting sensory needs, keeping routines, etc., but it also means having a place they can go where they aren’t overwhelmed. They need this at home and when we’re on the go. Think of what your child may need to help them in this area. As I was writing this post, I saw an awesome play-set/bed for a kids room on Facebook. I thought it would be awesome for Jeremiah’s room, but it was too big. When I showed it to Justin, he pointed out the cuddle swing/hammock and said he wanted to put it in Jeremiah’s room. First I had to remind him that I’d shown him one of those a couple years ago and he had no interest (that’s just my job as his wife right?). Then someone commented on this awesome play-set saying that we could incorporate just the sections that Jeremiah would benefit from, meaning it wouldn’t have to take up ALL the floor space in his room. We are still working out how to do this while in the middle of a house remodel/addition, Autism, and life, but the point is always to try to work it out. If you feel like something doesn’t fit your life, your space, mold it so it does. Nothing is out of the question, that’s why Jeremiah has a swing and a mini trampoline in his room! Just like anyone else, when Jeremiah’s needs are met, he’s more content, and the family as a whole can function better, it’s more peaceful environment for all of us. *After learning more about Autism, I would say children also wander because they are in search of something (water, or something they like to do). Here is a post about wandering and the risk of drowning: 4 reasons why you should teach your Autistic child to swim. *You can purchase the cuddle swing pictured above here. You can receive each post made to Lovin’ Adoptin’ by subscribing in the upper right corner. If you’re on a mobile device, this can be done on the web version. You can also follow me on Facebook, Twitter, and Pinterest for more helpful information and links. This entry was posted in Uncategorized and tagged Autism, behaviors, comfort, irritable, safe place, sensory issues, sensory needs, Sensory Processing Disorder (SPD). Bookmark the permalink.